World’s yearly table grape production is 16.5 million tons. Producing areas are China, Turkey, Europe, Brazil, Chili and United States. 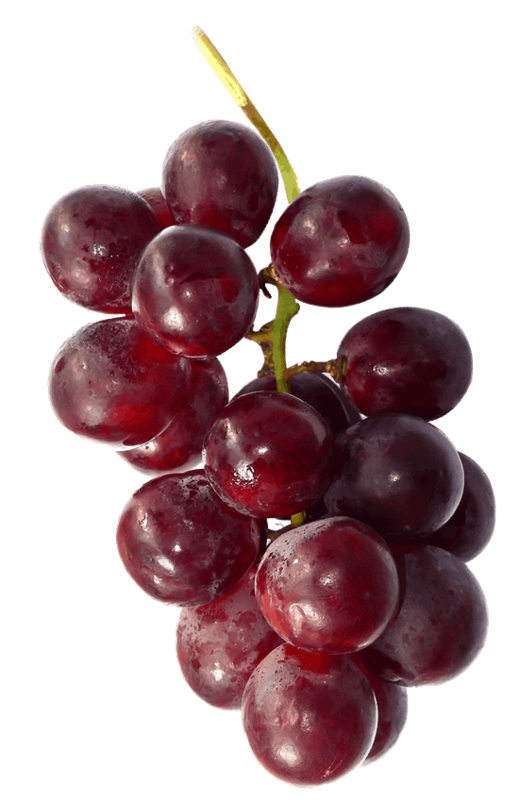 Some popular grape varieties are Thompson Seedless, Flame Seedless, Crimson Seedless, Red Globe, Ruby Seedless, Red Seedless, Muscat and Sugraone. Long-term storage starts with an excellent grape quality, and strict harvest- and storage protocols. Before storage, bruised or damaged fruit is removed. The right time to harvest depends on local quality classification, SCC percentage (% Soluble Solids Concentration), sugar/acid ratio and color. (A higher sugar level leads to improved storage prospects that will benefit more in CA conditions). Harvested grapes should be placed into a ‘pre-cooling room’ within half an hour after harvest, with a temperature of 4 °C. Within maximum 4 hours the grapes should be sorted and repacked. This has a huge impact upon storage result. Next step is to bring the grapes to the definitive storage temperature of -1.0 to 0°C, and a relative humidity of 90 to 95%. An air velocity of approximately 20 - 40 feet per minute (FPM) is suggested during storage. Read our protocol about grape storage. Storing grapes in Controlled Atmosphere (CA) conditions will not necessarily lead to the storage period being extended, but: quality will generally improve. The success of CA storage depends highly on the quality of the grapes at the beginning of the storage period. The decrease of moisture loss is an important part of the positive effect on table grapes, caused by the decrease in respiration, and the fungistatic effect of a higher CO2 level in the coldstore or Palliflex hose. Table grapes are very sensitive to Botrytis, a fungus that often leads to quality loss. Grapes are treated with SO2 (sulphur dioxide) to avoid Botrytis infections. Without CA conditions and without SO2 treatment, Botrytis may occur after just 1 - 1½ month (depending on the variety and the quality of the grapes). When total tonnage of grapes to be stored is limited by 200 tons, the flexibility of storage is best with a Palliflex system. With this system grapes are stored on pallets with a CA – hose. This system offers maximum flexibility because (parts of) stock can be moved or taken out of stock, without influencing other pallet-units. (risk for Botrytis infection decreases too). Questions about our solutions for grape storage? Free advice on which solutions are suitable for your situation? Download our grapes storage brochure or contact us for a free consultation!